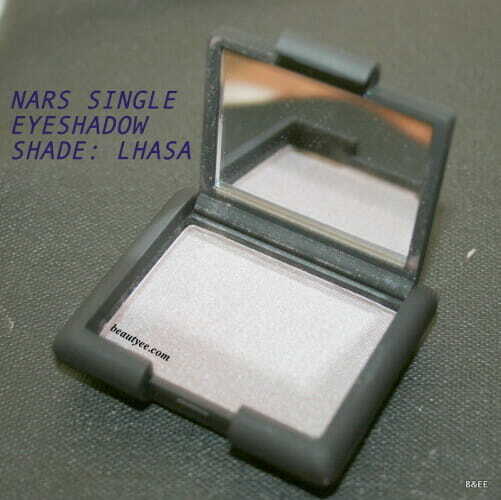 NARS Single Eyeshadow Lhasa review, Swatches, EOTD! 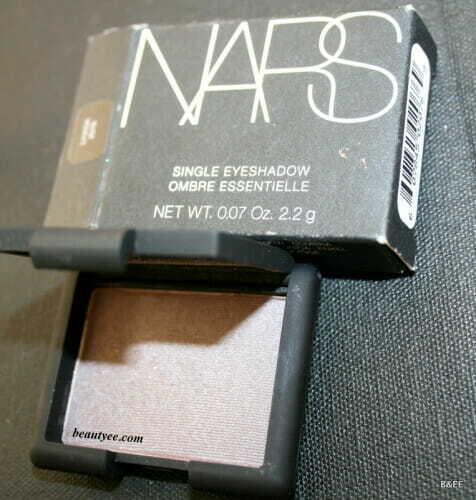 Let me introduce you to my one and only NARS eyeshadow. I wanted a neutral shade that I can just swipe on the lid & get done. I deliberately chose a very unique shade- Something I’d never seen before. Lhasa for me is like a Cocktail dress -rich & elegant. 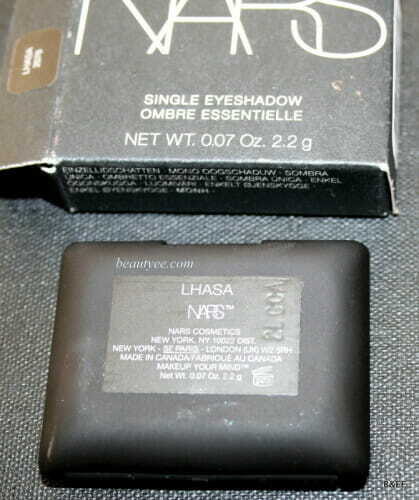 NARS SAYS : Lhasa Single Eyeshadow : One of the highest cities in the world, Lhasa is the home to many significant Tibetan Buddhist palaces. This shimmery lavender-gray Single Eyeshadow lends lids a luminous look worthy of its spiritual namesake. My take on Lhasa : Lhasa is much more than a soft lavender gray. It feels like one of those rich, english colors that look expensive. I bought it to use as a soft wash of color on my lid because most of the times, I get no time to dress up while going out. it’s always “get ready in 10mins”. Do you gals have to deal with this? Let me sing my praises for Lhasa though. It is the most unique pearly shadow I’ve laid my hands on. An absolute delight to work with. 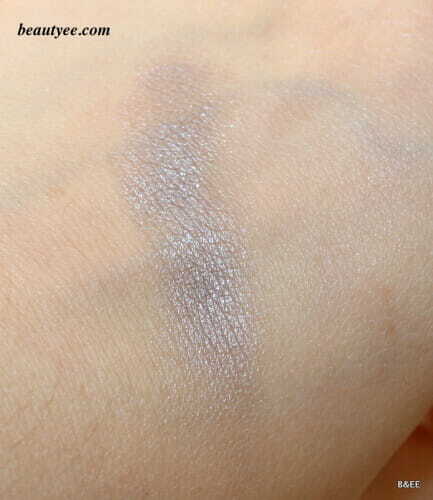 The pigmentation is fab, no fallouts, and blends easily. 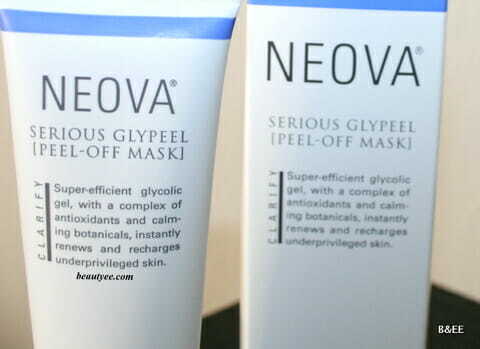 It also can be layered very well (as in- it gels well when layered). Also the fact that it can look taupe, purple or gray depending on where or how the light hits makes it really unique. I like it with Gray or black in the outer corners & crease but it looks really edgy with a deep dark blue too. 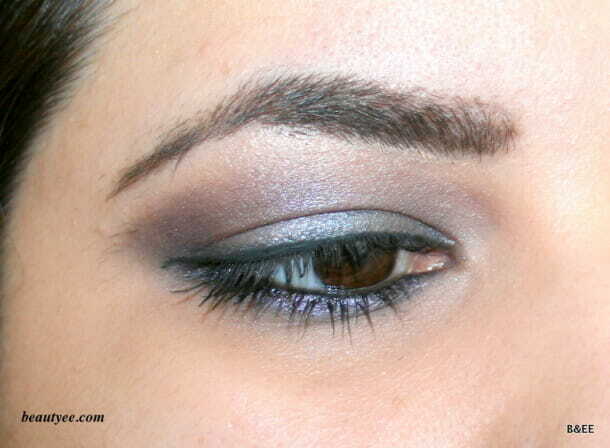 I came up with this look last week using majorly Lhasa. Hope you liked it! I have a few more looks in the pipeline but for some reason, I’m having the yearly bloggers block at a very wrong time. Verdict : I won’t repurchase this because it’s going to last me years but Everyone needs at least one unique/special product in their kitty! Lhasa is the one or me! ooo…looks fab on u..I loveedd ur EOTD..
looks pretty on u…somehow i have stopped buying single eye shadows because of so many palettes now! yeahhh- makes no sense naa…. thats’s why I don’t have palettes… I’m making my own! such a stunning shade na! me want! it’s a very unique piece yea! science- LOL!! !